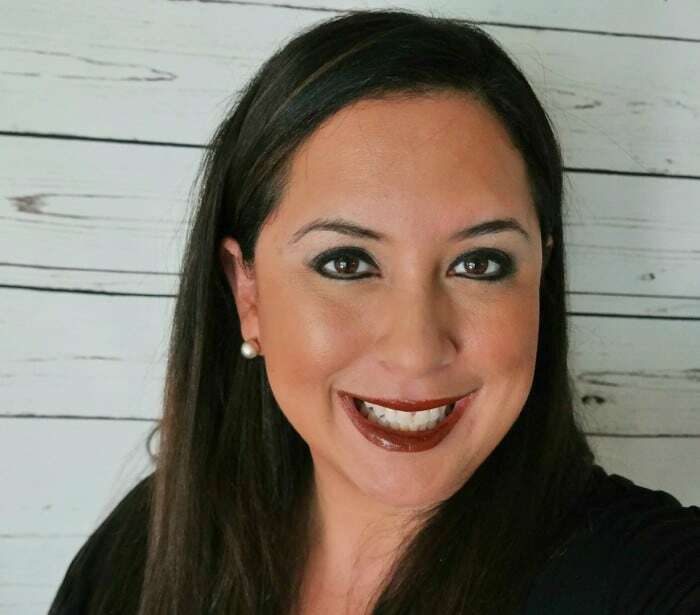 Disclosure:This is a compensated campaign in collaboration with Tide® and Gain® and Latina Bloggers Connect. Children are naturally inquisitive. They want to explore, learn, touch and feel everything unique around them. 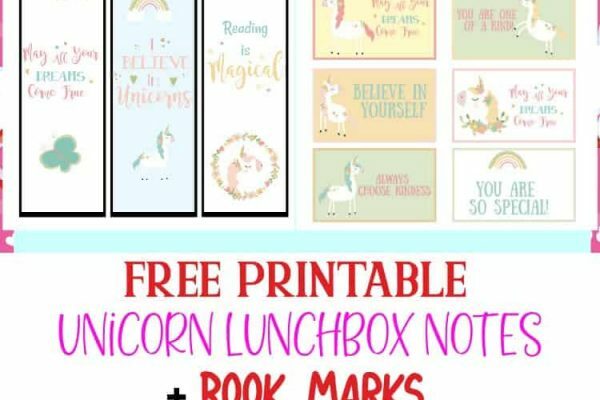 This can help make them great learners, however, sometimes this inquisitive nature can get them into trouble. So it’s important for us as parents to make sure we keep them safe. 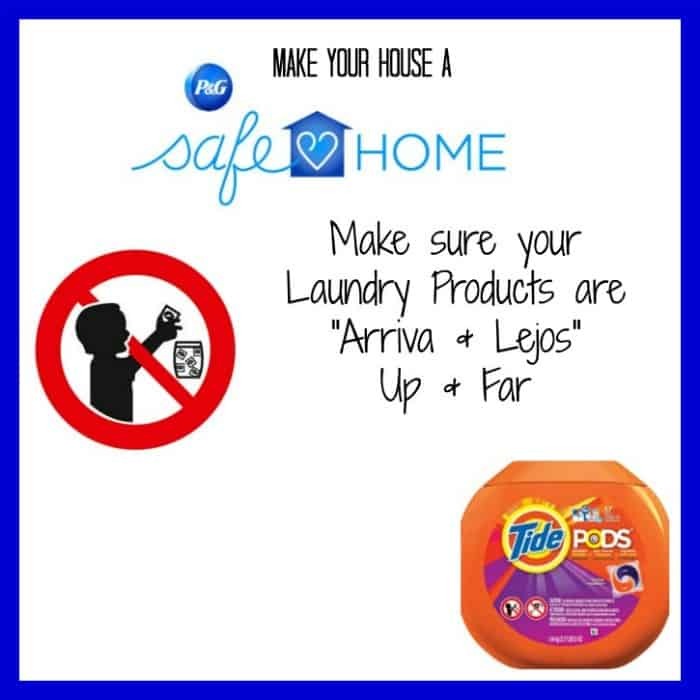 Through the PG “Arriba y Lejos” campaign, aims to help parents keep their children safe through laundry room safety education, focused specifically on the responsible handling and storage of the single unidose laundry pacs. 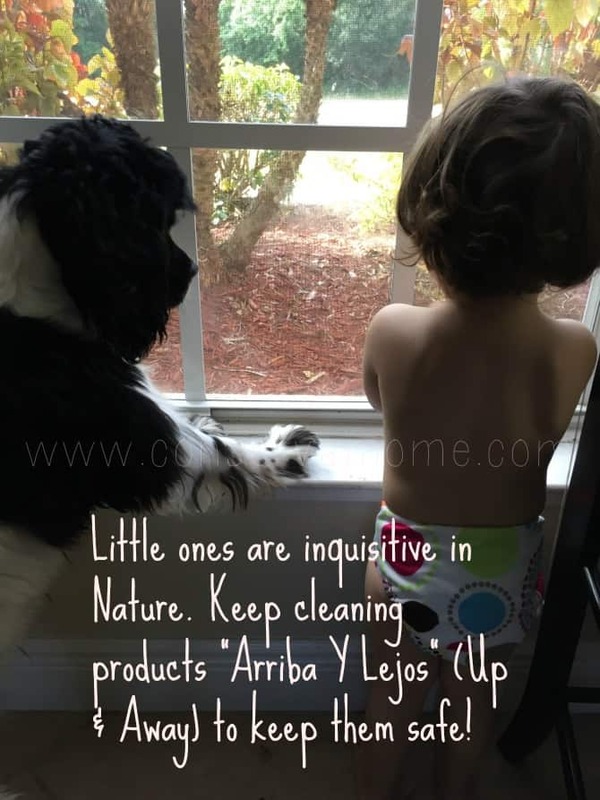 Because those can be mistaken for candies many times it’s important for parents to keep those “Arriba Y Lejos” or Up & Away! 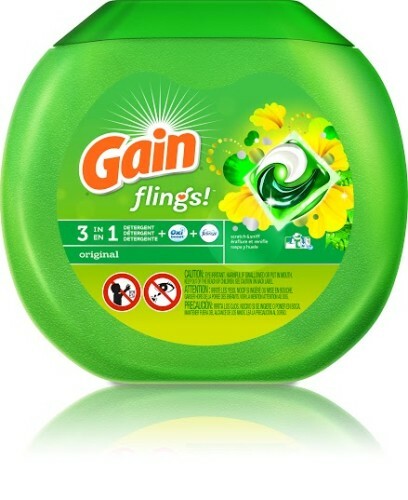 Tide Pods & Gain Flings pacs’ concentrated, multi-chamber form is uniquely designed to offer a convenient, yet more powerful clean, which is why the safe handling and storage of this product is such a high priority. 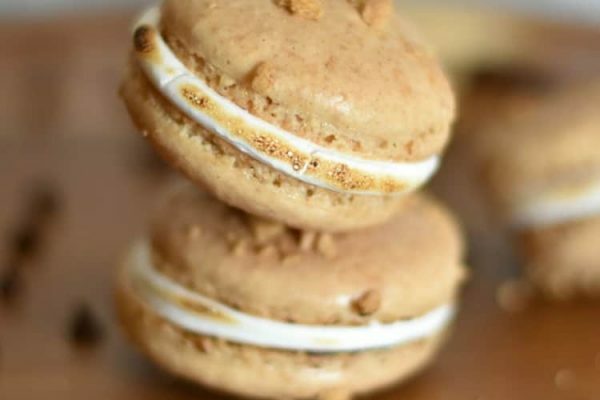 Because young children taste and feel everything they can find to learn more about their environment – and this is absolutely normal, even beneficial, in a child’s development so while you shouldn’t try to get your little one to stop mouthing, you instead just need to be aware and on guard. This Poison Prevention Week (starts on Monday, 3/16), I am working with Tide and Gain to bring you tips on how to keep your home safe. By making your home a safe environment, you can be confident that while little ones need constant supervision, having a safe environment reduces the risk of accidents. Children are very unpredictable so knowing what their next step can be hard. However following some precautions can make a world of difference with your little ones. Keeping all the cleaning supplies together and away from kids, preferably locked away. Much like many other household cleaning products, laundry pacs need to be handled with great care to prevent unintended exposure. Remember little ones can push chairs and stools to where they need to go so make sure things are not accessible to them. When cooking make sure and keep pot handles away from edge. Keep lighters and matches away as well. Medicines and other ointments should not be kept within reach of kids as well. Put yourself at your kids levels. See what they see many times things like outlets and loose window chords could become dangers as well. Most important always have the number to poison control and your pediatrician handy just in case your child manages to get into anything they shouldn’t. 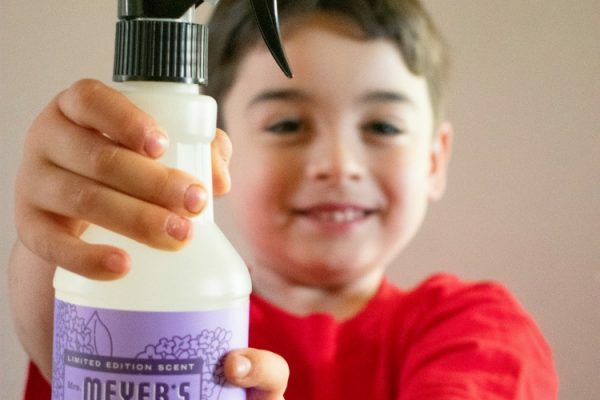 Teach older kids about the dangers of common household cleaning products when it comes to safely using,handling and storing. Since many times they can reach the areas themselves. Being a parent can be hard and keeping kids out of danger can be even harder. Following these safety tips will ensure many of the simplest accidents from happening. Don’t forget to follow @Tide and @GainLatino on Twitter for more tips, information and news on the latest cleaning trends and technology.